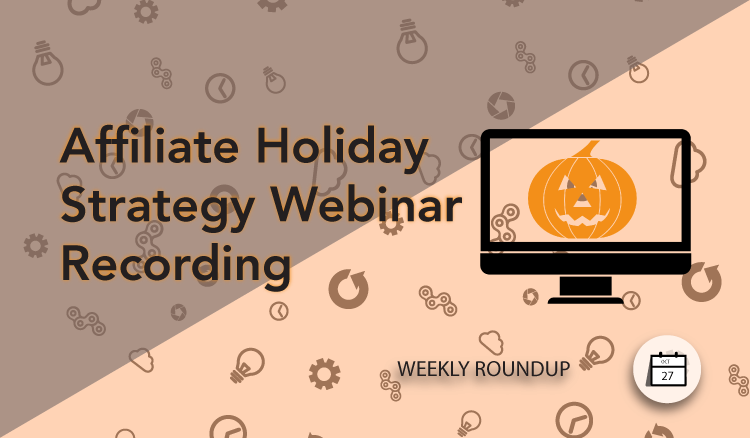 Affiliates, did you make it to our live holiday strategy webinar on Wednesday? If not, the event was recorded for viewing at anytime! Get an the overview of the communication tactics, ad discovery and dynamic tool usage during the holidays to make your affiliate efforts more effective this seasons. Whether your website speaks to an audience that’s into CrossFit, powerlifting, Olympic lifting, calisthenics, gymnastics or those that just want to build muscle or burn fat, the Force USA affiliate program will help your visitor take their training to the next level! Join the Force USA affiliate program. A roof top tent, or Roofnest, is a whole new way to go car camping! The Roofnest is an aerodynamic fiberglass box that attaches directly to any roof rack with crossbars and instantly expands to create a cozy, protected bedroom. We are a small company with a big mission – to turn everyone’s car into a camper van. Join the Roofnest affiliate program. Join the Coalatree affiliate program. Established in 1989, PRFO Sports is one of the original snowboard/ski action sports retailers in Canada. PRFO Sports offers the best action sports gear to its customers, carrying over 150 brands relating to Snowboarding, Skiing, Skateboarding, Outdooring, Fashion. PRFO Sports also offers the most knowledgeable sales team and the best customer service in the industry. Join the PRFO Sports affiliate program. Mark 7® is the premier source for a digitally-controlled ammunition reloading machine. Our system works with a customers’ existing Dillon 1050 and 650 hand-operated reloading press to bring them up-to 2,500+ RPM of accurate, high quality, affordable ammo loading. Join the Mark7 Reloading affiliate program. A pioneer in Vancouver’s outdoor gear industry, Westcomb is a leader in the re-emergence of world class, locally made products, through its design to production process, called the Shift Model. With the Westcomb headquarters, design studio, manufacturing, and warehouse facility all in Vancouver, this centralized design-to-production model allows for a nearly zero carbon footprint. Join the Westcomb affiliate program. We were born in New Zealand – a breathtaking country where isolation breeds innovation and the hunger to explore. For 30 years, we have designed our gear to take on the rugged landscapes of our homeland and to outfit the adventurous spirit of our people. Join the Kathmandu affiliate program. X31 Sports is based in Southern California. The brainchild of Daniel Washburn, a former technology executive and endurance sports enthusiast who decided to leave the corporate world and pursue his dream. Daniel combined two things he cared deeply about; Fitness (triathlons, crossfit and endurance sports) with his passion for New Gear, and X31 Sports® was born. Join the X31 Sports affiliate program.